Today's car mechanics just cannot comprehend the scientific fact that modern diesel engine lubricants can float 5% of their weight in soot. That means that a kilogram of engine oil can suspend 50 grams of soot without losing its lubricating capabilities or without causing deposits. A typical engine takes four litres of oil that adds up to 200 grams of soot – that's a lot of carbon there. Rubbing the oil between fingers and checking the colour – these are the forerunner techniques of oil diagnostics, even though with modern oils these practices will tell you no more than diagnosing the engine using the tea leaves collected from the owner's morning cup. Chemistry and the science of lubricants have developed so vastly that you need to take your sample to a lab if you want real, valuable information. The idea is pretty old actually. It sounds like a valid argument that anything that wears off the engine components or is sucked in by the engine (such as dust) should be present in the lubricant to a degree – just like coolant if the head gasket is compromised. All you need to know is what you are looking for: lead in the oil signals worn slide bearings, and so forth. In the end you will just need a couple of instruments and to use certain processes to indicate your findings. I first saw this with Shell showcasing their Formula 1 oil lab. They even invited Rubens Barrichello to confirm its advantages with his smile. All of this happened about a decade ago – the oil factory took a trailer to the paddock and used submitted oil samples to tell how much life there was left in the engine. That was critical information in F1 at that time, and even more so today when teams are allowed only a limited number of engines each season. However I had no idea there was a similar service available with the lubricants branch of the Hungarian national oil company MOL. It does cost a lot though (currently about €50 per sample, including taxes), so you wouldn't just do it out of sheer curiosity, but it can be worth it if you can prevent serious damage to a valuable engine this way. Primary customers for this service are operators of large fleets such as domestic coach lines (Volan), the Budapest public transport company (BKV), Waberer's (one of the biggest logistics companies in Hungary) or major agricultural companies. Pperiodical examination of oil samples at regular intervals is even more fascinating as it can tell you changes in line with mileage. Alright so what exactly are we talking about? The Almasfuzito divison of MOL LUB packs some serious lab power, used in part for engine oil development, and in part for both quality control and the aforementioned Wear Check service. 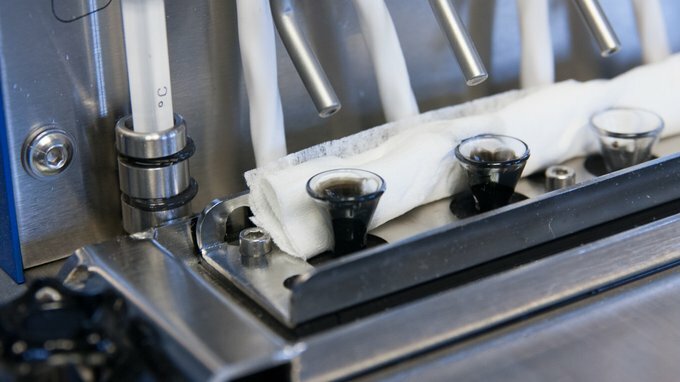 Their services extend beyond checking engine oils though: since the company also sells industrial oils (such as hydraulics or turbine oils) they will also examine those, alongside with coolants (CoolCheck), greases (GreaseCheck) or even auxiliary materials for metalworking. I suppose those working at the lab could keep us entertained all night long with stories about how boring oils used in lathes and other cutting equipment have a tendency to contract bacterial infections (no kidding!) 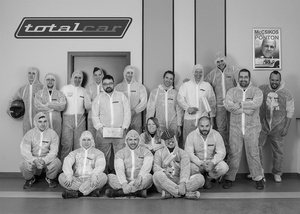 which results in a diabolical stench – but since this is an automotive story we'll leave them at that. 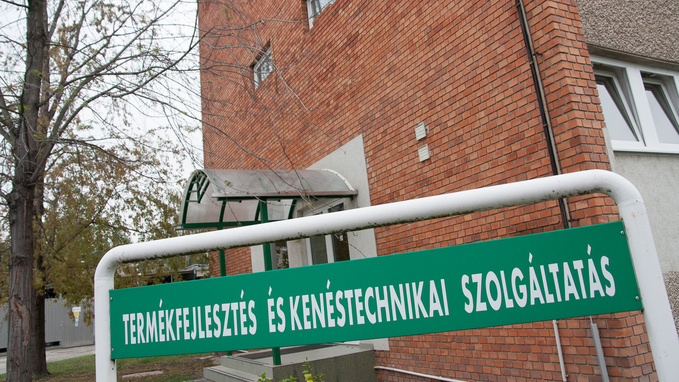 We were escorted through the facility by the head of the laboratory Judit Bereczki. For laymen this place is no more exciting than say, a laboratory for blood test, except there's oil in the vials. 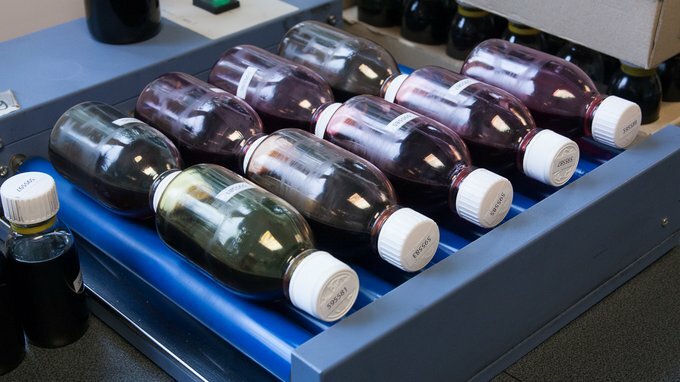 Clients now use standardized sampling containers, because oil samples submitted in empty soda bottles would yield misleading readings if, for instance, the bottle had not been completely dried after rinsing. After all you wouldn't take urine samples to the lab in a jam jar, would you? Samples are no more than 50-60 ml each. They come not only from Hungary but from the entire geographical area serviced by MOL – basically from all over the former Eastern Block. 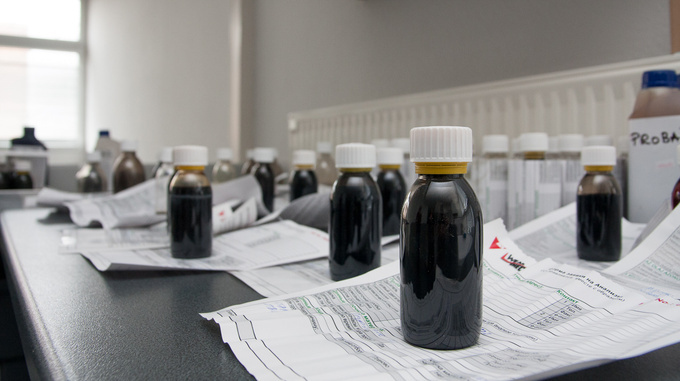 Vials are rotated on a tricky roller desk before examination so that contaminants are not deposited on the vial walls but are evenly distributed within the oil. The process follows a pretty straightforward routine. Viscosity check at 40°C and 100°C, check for metal content, dispersion and soot content. All measurements are taken automatically, details are rather uninteresting. 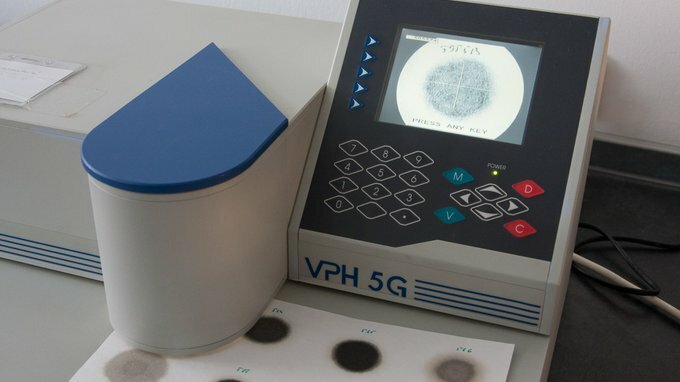 One thing worth noting though is that metal content is checked using the ICP process, also known as inductively coupled plasma spectrometry – ah, there is poetry in science for you. Anyway, you will find plenty of literature if you are interested. Compared to that, checking for soot content is a relatively straightforward process. 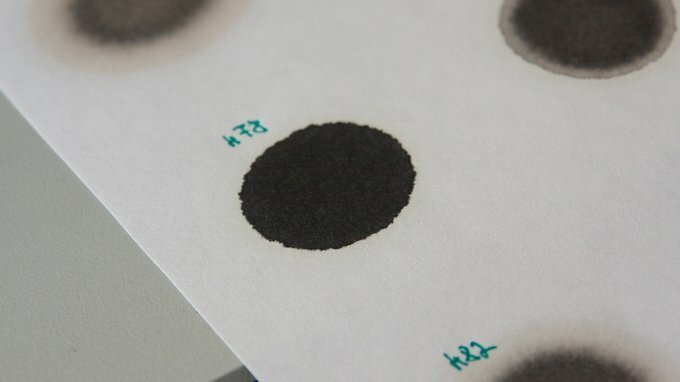 A drop of oil is placed on what appears to be blotting paper, which is then placed in an optical equipment telling you the percentage of soot in the sample. 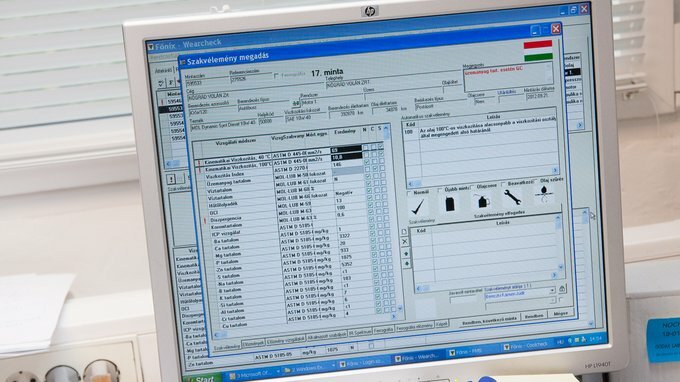 Mind you, the head of the laboratory took a look at a sample and predicted a percentage which was later verified by the machine. That's what you call professional expertise. The end product of the process is a single chart of data. That, however, is not evaluated here but by the tribologists working at the headquarters. 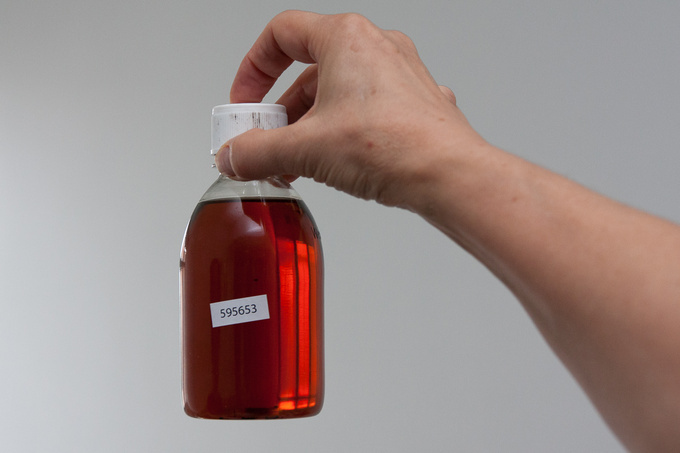 They say engine oils don't need to be seen to be analyzed (as opposed to, say, hydraulics oils). There are various kinds of information to be read from all of this. 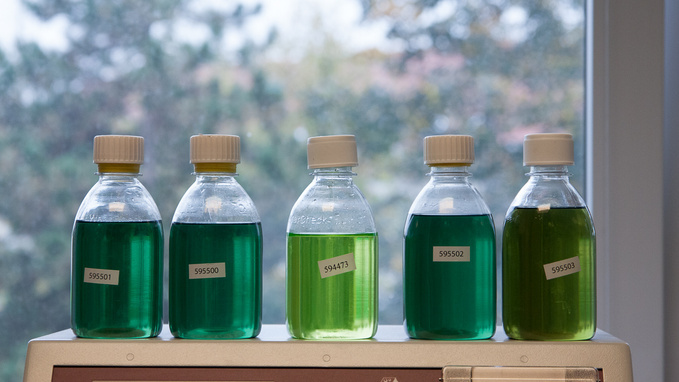 Viscosity should be within a certain range, says lubrication expert Zsolt Tari. Fuel content usually decreases, soot content increases viscosity, while both contaminants can be a symptom of faulty carburetion or incomplete combustion. Water in the lubricant can signal coolant in the oil circuit although that is only true if they also find sodium and boron in the sample. Except boron can also be present from additives... Yeah, it is a complex profession. 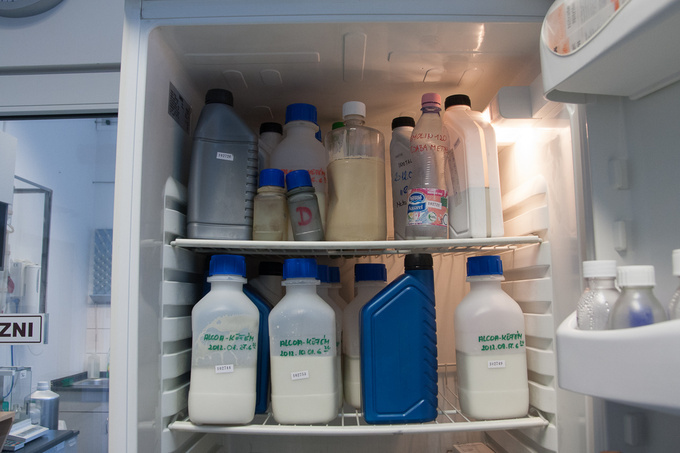 Checks can also reveal if the lubricant really is of the claimed brand: MOL experts can recognize calcium, phosphor, sulfur, zinc or barium from their own additives. Metals worn off and deposited in the oil include iron, chrome, copper, tin, lead or aluminium, but there can also be molybdenum, vanadium or titanium present in the lubricant. Traces of tin or lead indicate increased wear of slide bearings, aluminium signals worn pistons and so forth. Analysts obviously need to have a clear understanding of what materials engine components are made of, and there are some special cases. For one Zsolt Tari mentions Raba engines widely used in Hungarian buses. Oil cannot drain completely from these engines, leaving a higher than average rate of iron residues. That means these engines must be rated with a higher threshold. Checking the oil can also unearth other types of faults. Extraordinary amounts of silicon and aluminium usually signals too much dust entering the oil: either the engine draws in air from outside the manifold, or its time to replace the air filter. Of course clients are handed these sorts of analysis, not just the chart. Continuing the examinations throughout the lifetime of an engine could yield fascinating results, with the plotted diagrams allowing one to see how wear processes change from run-in to overhaul.